1: Time to get product and get installed. 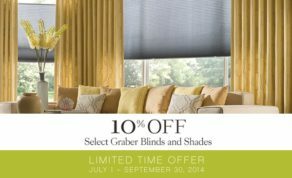 If you have ever purchased special order blinds from a box store, you will find out that they take a long time to get. Average time will be 3-4 weeks. That is after you get one of their “sub contractors” out to measure. They could take 3-4 days to get an estimator out there. Looking for some faux wood blinds or mini blinds, but don’t want to break the bank? 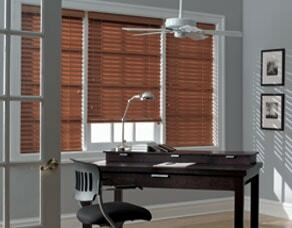 Graber offers an economy line of blinds called Simple Selections. Products in this category are faux wood blinds, wood blinds, aluminum 1” mini blinds, vinyl 1” mini blinds, cellular honeycomb shades, and vertical blinds. Each line offers 4-10 colors and comes in at a great price. Right now unitl September 30! *Cannot combine with any other offers or coupons. Buying Plantation Shutters Polk County? WHY POLYCORE PLANTATION SHUTTERS FROM AAA BLINDS? Polycore never needs to be repainted. Polycore components’ aluminum is CO-EXTRUDED—NOT INSERTED after extrusion. Polycore louvers’ aluminum core makes them as straight as an arrow allowing us to make 36” panels with no sagging or warping. AAA Blinds is Winter Havens source for blinds in Polk County. We offer the best prices and selection. We are the original AAA Blinds of Polk County. We are also the oldest blind company in Polk County. We have a factory and showroom located in Lakeland. Most people call and have us come out to the home to meausre and give a free estimate. 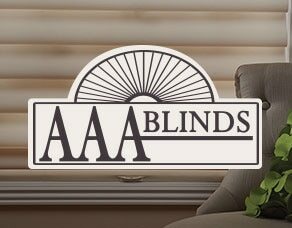 Here at AAA Blinds of Lakeland, we carry some parts that might be able to fix your blinds. If not, we can possibly get them replaced at a good price. There are thousands of different types of blind parts on the market and we have some in stock. Its impossible to have all of them, but we might have what you are looking for. Polk Counties oldest blind company. Our experience assures your satisfaction. The original AAA Blinds of Central Florida.